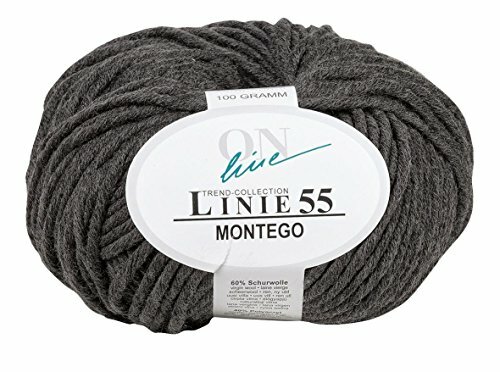 ONline Linie 55 Montego knitting yarn is a lightweight bulky yarn blending wool and acrylic. Soft, easy-care and comfortable to wear, this yarn is perfect for cosy hats, scarves and slightly thicker knit pieces. It comes in a range of colours from soft greys to acid brights.